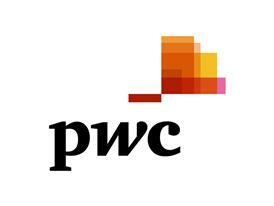 London, 11 January 2017 – PwC’s Global Chairman Bob Moritz will present key findings of PwC’s annual survey of international business leaders at a press briefing in Davos, Switzerland, at 18:30 Central European Time on Monday 16th January 2017 (17:30 GMT/12:30 EST). The PwC Global CEO Survey has established itself as one of the media highlights of the Annual Meeting of the World Economic Forum in Davos. It includes nearly 1,400 interviews with CEOs from 79 countries, conducted during the last quarter of 2016. Last year’s survey revealed CEOs were less optimistic about the global economic outlook and their company’s growth prospects. With continued uncertainty surrounding the international economy, business environment and political events, this year’s survey will examine changes in CEOs’ confidence, alongside their views on skills, trust, technology, and globalisation. To watch the webcast on Monday 16 January, visit http://www.pwc.com/davos at 18.30 CET/17:30 GMT/12:30 EST. During the live webcast, the audience can submit questions on this page and have them answered. All press materials related to PwC’s 20th CEO Survey, including graphics and video footage, will be available at http://press.pwc.com.